Columbia was America's defender of the America's Cup in 1899. 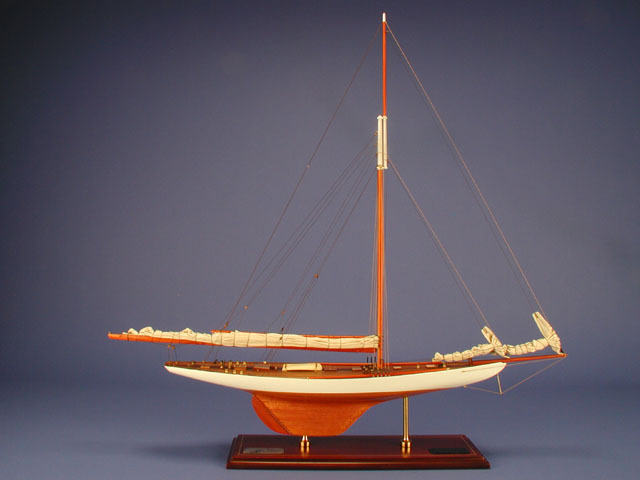 Designed and built by Nathanael Herreshoff and his firm between 1898 and 1899, J.P. and Edwin Morgan of the New York Yacht Club. She had a nickel steel frame, tobin bronze hull, and a steel mast. She won all three races against British yacht Shamrock in the 1899 America's Cup, as well as all three races against Shamrock II in 1901. Sadly she was dismantled for for scrap in 1913. Dimensions (L x W x H): 30.0" x 5.0" x 29.0"